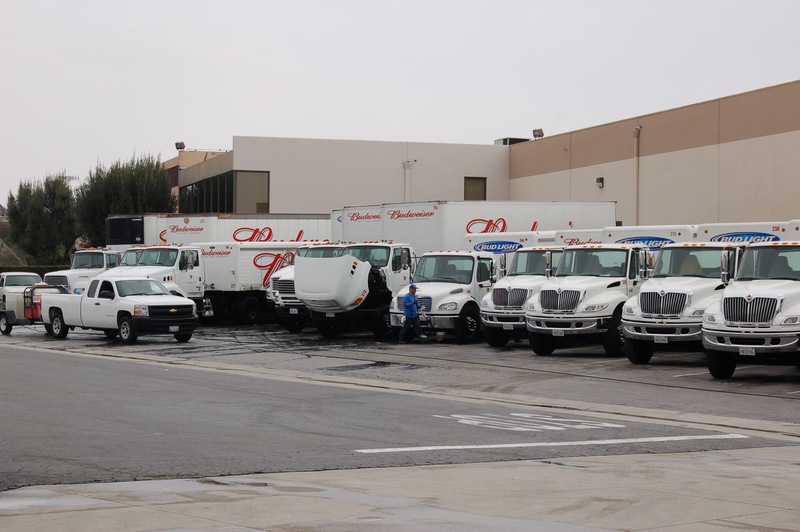 We pride ourselves on being the most reliable mobile truck washing service in southern California. Our cleaning process uses top of the line power washers, biodegradable soaps, and high quailty brushes. We manually brush each vehicle with moderate strength by hand, and use safe detergents, and soft bristle brushes. 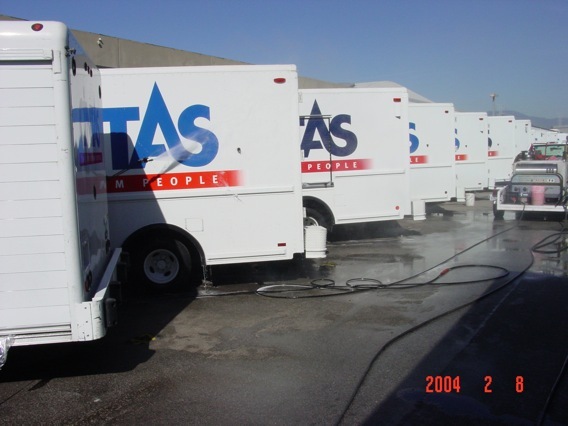 We DO NOT use harsh chemicals and excessive water pressure to get your fleet clean. Just good old-fashioned elbow grease. bumpers, wheels, rims, exterior frame, landing gear, air deflector, windows, mirrors, gas tanks, and grills. In some areas the quality of the water is so poor. Deionized water is the only way we Clean to provide a quality wash job. 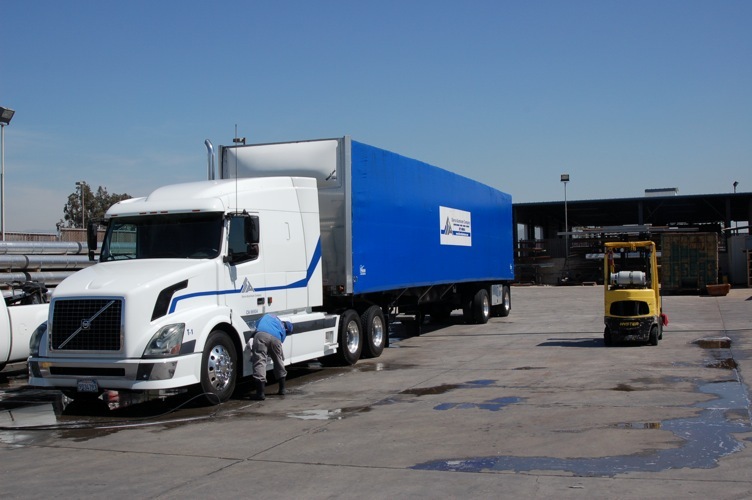 We offer a more in-depth cleaning over our competitors, such as trailer washouts, aluminum brightening, degreasing. 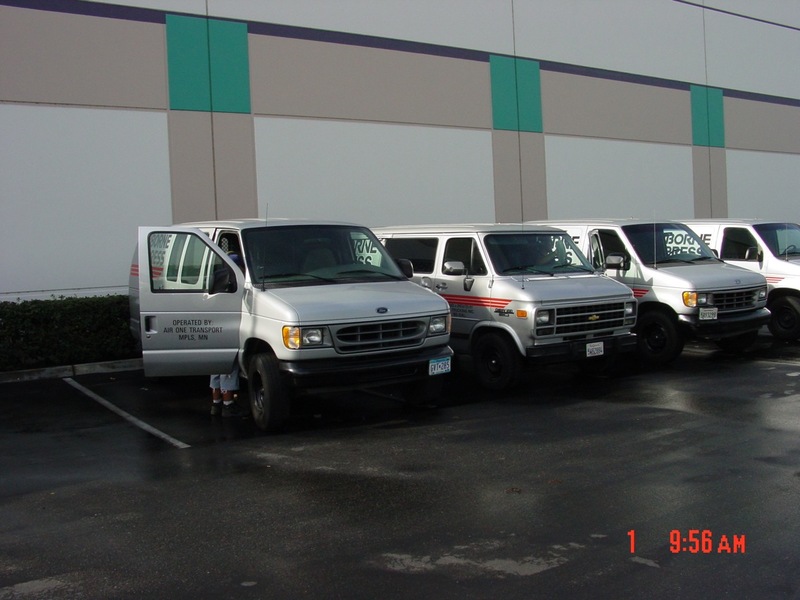 We schedule the cleaning of your fleet when it is least active. Many fleets remain dormant during the weekend therefore We perform over fifty percent of our customers with service on the weekends. Others have us clean during the week during the evenings or during the mornings when driver meetings are being held and thats why we have three man crews not two, like most of our competitors. Do to the nature of our industry we perform our service 24 hours a day, 7 days a week. Wash water will be recovered and legally disposed of to the sanitary sewer via intercepter or clarifier. We have a number of different wash methods that we have developed to prevent any illegal discharge. At our disposal is the use of vacuum recovery, damning devices, sump pumps, and wash mats that cover and seal storm grates. The method used will depend on the specific cleaning requirements that are requested as well as the environmental laws that may be applicable in the specified area. If you would like a free demo or better yet, give your existing vendor the day off and have us clean your fleet free. It wont cost you a dime. Content copyright 2010 - 2014. Advantage Fleet Wash Advantage Fleet Wash. All rights reserved.